Linear acquisition of a remote dead booted computer. Preserving the integrity of evidence is fundamental to forensic practice. A significant challenge in forensic live CD workflows is reliably distinguishing suspect storage media from evidence storage media, and reliably managing software write blocking of those devices. Evimetry provides a range of options for fitting with your workflow. The default approach is to only allow unlocking (disabling write blocking) for storage devices that have been "blessed". 1. Attach the evidence storage device to the Controller computer. 2. Partition and format the evidence storage device to contain a single exFAT partition using the OS partitioning tools. 4. Select the evidence storage drive, right click, and select "Bless"
Use the BIOS/EFI boot method of the computer to boot from the USB drive. 1. Connect the suspect computer to the same network as the Controller. 2. Boot the suspect computer using the Dead Boot USB key as the boot device. Evimetry agents and controllers automatically discover each other when connected to the same LAN segment. 1. 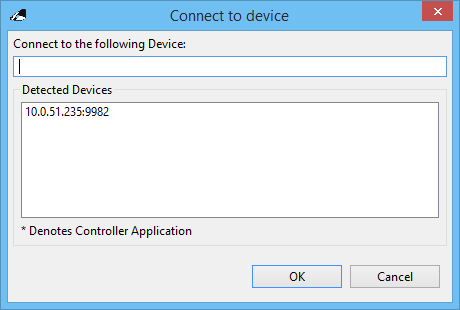 Connect to the dead boot agent using "File | Connect to agent" on the Controller. Preservation requires that we have a location to store evidence. Evimetry agents will store evidence either to locally attached storage or to Evimetry evidence repositories accessible via the network. In this scenario we are using direct attached storage. 1. Attach the blessed evidence storage disk to the suspect computer via USB. 2. Refresh the evidence storage computer node in the Controller. 3. Find the evidence storage device under the suspect computer node. As the evidence storage device is Blessed, it will appear with a green tick overlaid. 4. Unlock and mount the drive for storing evidence by right clicking and selecting "Add repository". All other storage devices are prevented from being unlocked. We are now able to acquire an image to the unlocked repository. 1. Find the suspect evidence device you wish to acquire. 2. Right click and select "Acquire". 4. 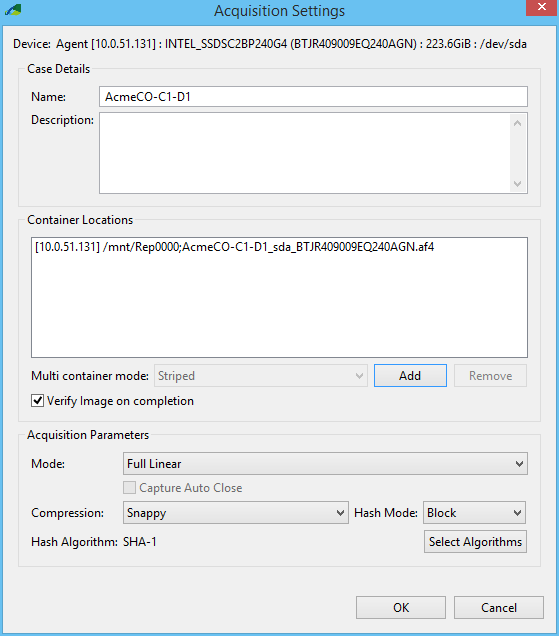 Choose the destination storage repository and container file name by selecting "Add". 5. Choose "Full Linear" as the acquisition mode. 6. Click "OK" to acquire. At this point the evidence storage device containing the acquired image might be mounted as a virtual drive for analysis, transferred across the network to another Evimetry agent, or quickly converted into a standard evidence format such as raw or EWF. Network server, Screen, Biohazard, Laptop, Database icons designed by Freepik. Cloud icon by SimpleIcon. Lock icon by Zurb.